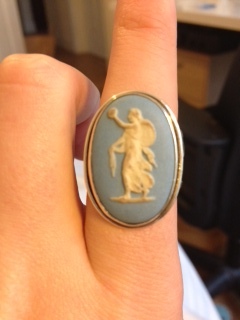 I was given this Cameo ring by my grandmother many years ago. It has Wedgwood inscribed on the back. I was just wondering if there's any way of telling if it's a geniune wedgwood, what it's actually made of and whether or not it is worth anything? I am also curious as to what the image itself depicts? Many thanks!